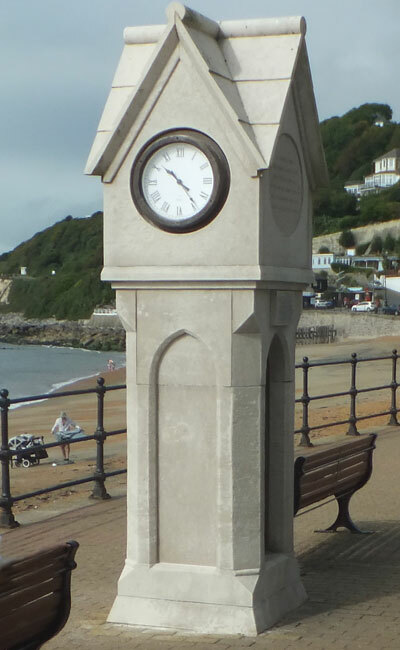 The Gnomon (vertical sundial post) on Ventnor Esplanade was presented to the town in 1851 by Sir Thomas Brisbane in 1851. It casts a shadow on the line on the pavement at midday GMT (or 1pm BST). A clock was positioned nearby in 1870 so that the time would be known even in overcast conditions. 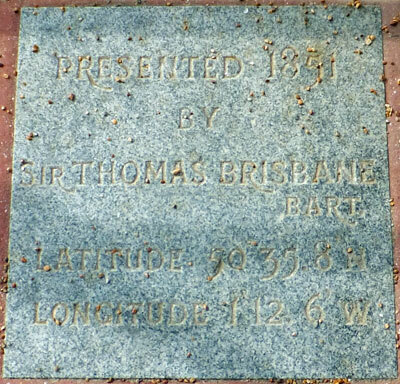 Sir Thomas Brisbane was a distinguished soldier and governor of New South Wales, Australia, where he gave his name to the city of Brisbane. His interest in astronomy gave rise to his interest in using the sun for timekeeping. The memorial stone set into the pavement, gives the position of the Gnomon as latitude 50 35.8 N, longitude 1 12.6 W. A Meridian Stone was set in the wall of the Villa Amanti opposite, this has now been removed to the Ventnor Local History Museum.